From a literary perspective, this will certainly be the best collection of the year in science fiction and fantasy. 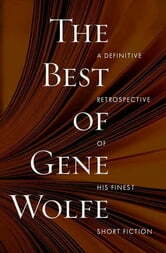 Gene Wolfe, of whom The Washington Post said, "Of all SF writers currently active none is held in higher esteem," has selected the short fiction he considers his finest into one volume. There are many award winners and many that have been selected for various Year's Best anthologies among the thirty-one stories, which include: "Petting Zoo," "The Tree Is My Hat," "The Island of Dr. Death and Other Stories," "The Hero as Werewolf," "Seven American Nights," "The Fifth Head of Cerberus," "The Detective of Dreams," and "A Cabin on the Coast." 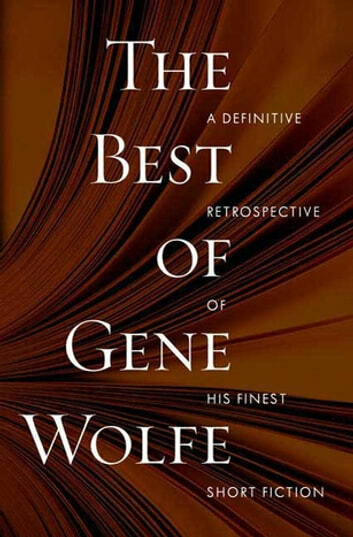 Gene Wolfe has produced possibly the finest and most significant body of short fiction in the SF and fantasy field in the last fifty years, and is certainly among the greatest living writers to emerge from the genres. This is the first retrospective collection of his entire career. It is for the ages.